“Proof-texting” is an accusation that’s sometimes thrown at various works in Reformed theology. I think Louis Berkhof’s Systematic Theology has sometimes been accused of this. What is “proof-texting”? Stating a doctrine and then listing a series of Scriptures that allegedly support it, without providing any additional explanation. Sometimes the texts appear to have very little (or even nothing) to do with the doctrine stated. In that case, the practice gives the impression of having Scriptural support, but upon closer examination one sees that the dogmatic emperor has no exegetical clothes. This accusation has sometimes been directed towards our confessions as well. Our confessions state doctrines, and then we have footnotes to various Scripture passages that allegedly support these doctrines. However, when you look at some of the passages, the connection sometimes seems spurious or contrived. In my theological training, I was taught that these proof-texts should be approached with caution and humility. It could be possible (and is even very likely) that our Reformed forefathers had better insights into Scripture than we do. They had their reasons for including these texts, and we should carefully and cautiously inquire as to what those reasons were without jumping to conclusions. Usually with some study, one comes to see that the proof-texts were not added thoughtlessly or superficially, but have a solid exegetical reason for being there. I was thinking about all this recently as I read through the second volume of Richard Muller’s Post-Reformation Reformed Dogmatics. The last chapter deals with “The Interpretation of Scripture.” Muller has a lengthy and excellent discussion on dogmatic proof-texts (dicta probantia). He points out that usually “dogmatic theologians had spent long portions of their careers as exegetes and had viewed study of the Old or the New Testament as the proper preparation for the dogmatician” (509). He gives the example of Johannes a Marck who began his career as an exegete and left behind large numbers of exegetical works. It was only later in life that he became a dogmatician. So, for example, when a Marck wrote his Medulla, he cited Matthew 19:17 as a proof for God’s goodness, but didn’t elaborate. 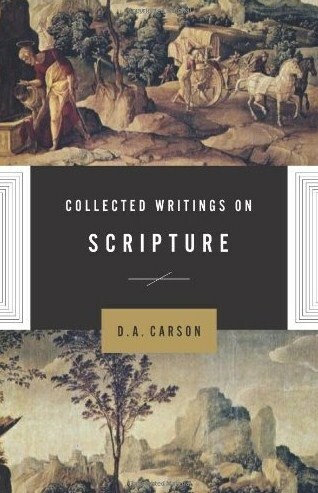 However, “it ought not to be assumed that the text has been wrenched out of its context or the tradition and trajectory of Protestant exegesis has been ignored” (518). From the Reformation until late orthodoxy, there was “an intimate connection between exegesis and theology” (510). So, “[a] text merely cited in the dogmatic systems may point toward a massive exegetical labor in commentaries and exegetical treatises” (511). One should not rush to judgment when looking at these proof-texts and their relationship to theological statements. Muller warns: “We need, thus, to be wary of viewing persistent citation of chapter and verse of Scripture in these systems as mere ‘proof-texting’: rather it is a sign that reading of Scripture has contributed to the system and is recommended to the readers of the system” (511). Today things are quite different. Readers of systematic theologies applaud when authors make the exegesis of various texts transparent. That’s a good development. However, we still have our Reformed confessions of the sixteenth century, and it’s good to remember that there is a respectable exegetical corpus under-girding the proof-texts found in these confessions. It’s good to set aside our hubris, and try to understand how our forefathers understood Scripture and how they formulated their theology from it. They might still have a thing or two to teach us.